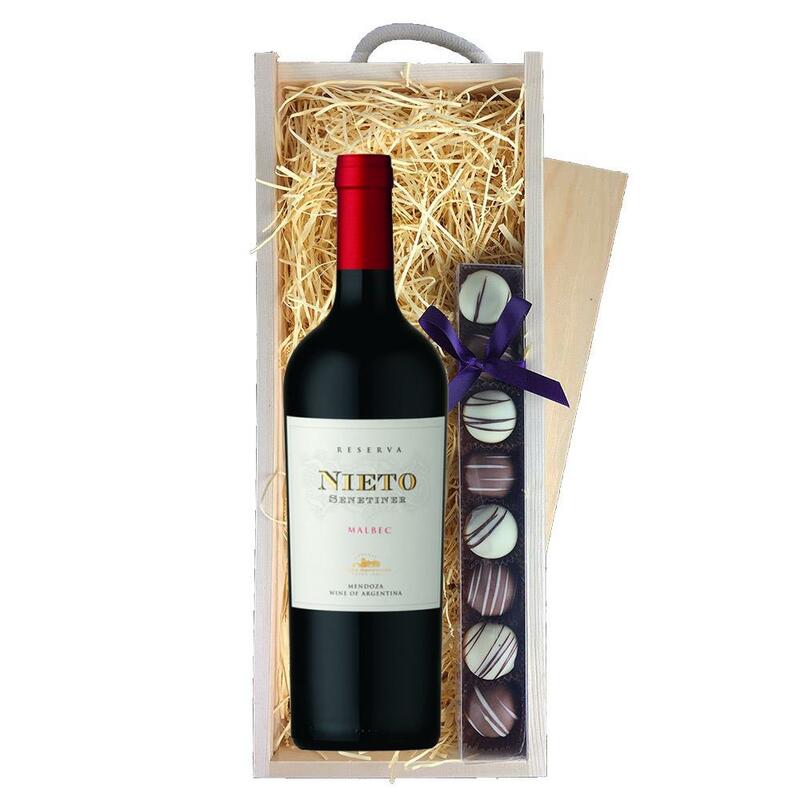 A single bottle of Nieto Senetiner Malbec Reserva 70cl and a single strip of fine Hand Made Truffles (110g) Presented in a wooden gift box with sliding lid and lined with wood wool with a Gift Card for your personal message. Luigi Bosca Finca la Linda Malbec A deeply-colored powerful red with great concentration of berries. Complex flavors of plums figs and dried fruit with spicy vanilla character are evident from one year of maturation in French oak barrels.